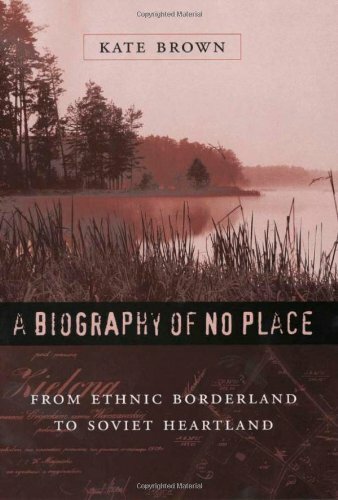 This is a biography of a borderland between Russia and Poland, a region where, in 1925, people identified as Poles, Germans, Jews, Ukrainians, and Russians lived side by side. Over the next three decades, this mosaic of cultures was modernized and homogenized out of existence by the ruling might of the Soviet Union, then Nazi Germany, and finally, Polish and Ukrainian nationalism. By the 1950s, this "no place" emerged as a Ukrainian heartland, and the fertile mix of peoples that defined the region was destroyed. Brown's study is grounded in the life of the village and shtetl, in the personalities and small histories of everyday life in this area. In impressive detail, she documents how these regimes, bureaucratically and then violently, separated, named, and regimented this intricate community into distinct ethnic groups. Drawing on recently opened archives, ethnography, and oral interviews that were unavailable a decade ago, A Biography of No Place reveals Stalinist and Nazi history from the perspective of the remote borderlands, thus bringing the periphery to the center of history. We are given, in short, an intimate portrait of the ethnic purification that has marked all of Europe, as well as a glimpse at the margins of twentieth-century "progress." Kate Brown is Assistant Professor of History at the University of Maryland, Baltimore County.